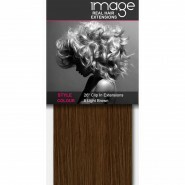 For those of you with gorgeous chestnut locks, our range of light brown clip in hair extensions will blend seamlessly with your own hair so that you can change your look as often as you want. 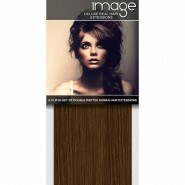 If you've ever struggled in vain to grow your hair, you'll know how frustrating it can be but now this is a thing of the past, with IMAGE extensions available in lengths up to 26"! Invest in our light brown hair extensions and short hair transforms in to a perfect, flowing mane in the time it takes to clip in eight individual wefts of remy hair.